Sunday sees Stakes racing return to Seoul and while the Sports Chosun Cup isn’t the biggest race on the calendar, it certainly offers some good punting. Feel So Good is likely to be the heavy favourite but he’s not invincible and there are plenty in the field of 13 capable of pulling off the win – or at least finishing in the top three. 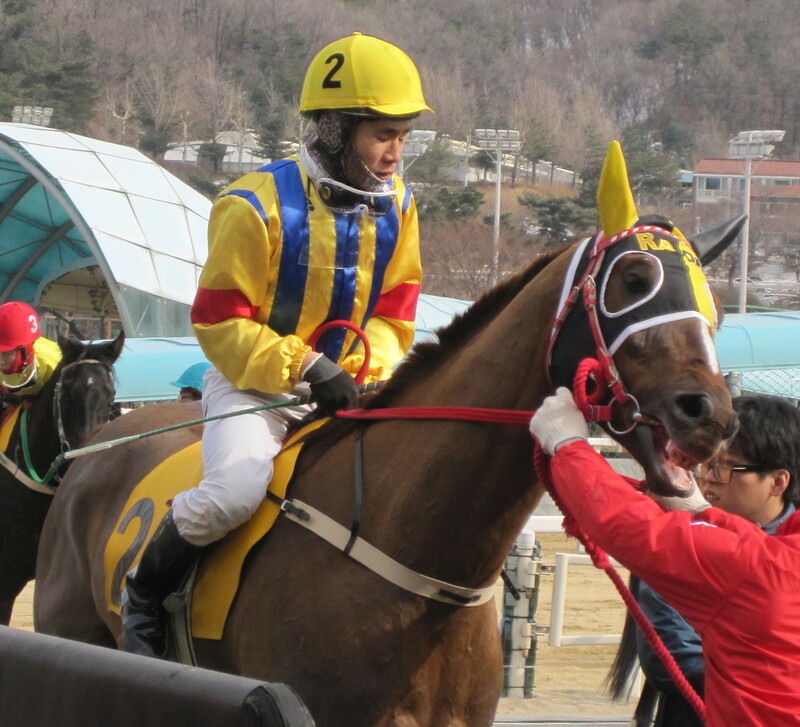 Moon Se Young steps in for the suspended Seo Seung Un aboard this colt who was a smart winner over the distance last time out when he closed from 7th for the win in the home straight. He’s back after 3 months off and won’t be favourite but he has a chance. Very little to recommend here, it’s over 2 years since Wahaha has won and that won’t change. Third over the distance last time out, beaten 2 lengths by Corner Stone having hit the front in the final furlong. Likes to come from the back but perhaps not quite at this distance. Outside chance of another place. Consistently in the money if not consistently winning, El Campeon was beaten into 3rd by Feel So Good and My Energy last time out but he’s closer who can stay and has plenty of speed. He can’t be overlooked. Won over 1700 metres at class 3 before finishing well beaten by Feel So Good in that race last month. Will need to improve here to challenge for a place. Second to Feel So Good – by 9 lengths – last time and ahead of El Campeon, who he also beat in April. It would be a surprise to see him win here though. Good win over the distance at class 3 last time. Likes to be just off the pace and if the closers fail to get into gear, he may well steal a place. Has plenty of speed and comes off the back of two solid 2nd place finishes. Another 2nd is more likely than a win but if he must be in with a chance. A winner at Calder in Florida in 2012, he’s blown hot and cold since coming home. He was certainly hot last time out, winning over the distance – and over several of this field – by 9 lengths. If he runs like that again here, then of course he wins. Another who has the ability to make a nuisance of himself. Good win over 1900 metres in March but followed it up by being well beaten last month. Difficult to receommend but again difficult to ignore for a quinella at good odds. Put in a decent run when 2nd at this distance last time out in March. She was ahead of Feel So Good that day and while she’ll not be favoured to repeat it, she’ll be in a lot of quinellas. Likes to be close to the pace and should stay on. Lee Shin Young’s second string is likely to try to hit the front early. Staying there will be quite another matter though. The wildcard of the field. Hasn’t run since taking a narrow win over 1700 metres last November, he strolled comfortably through a trial in April. This should be too much too soon but some may be tempted by the likely good odds on him. Seoul Race Park: 11 races from 10:50 to 18:00 with a performance by Girl’s Day at 3.45!! May becomes June and summer racing begins in earnest with a full set of cards around the peninsula this weekend. And there’s no surer way to know its summer than the reappearance of K-Pop girl groups at Seoul Racecourse. Girl’s Day get us underway with a short performance on the Stakes race presentation stage at 3:45pm. It’s going to be very busy! They’ll not be the only ones on the stage this weekend as they’ll be on just before the Sports Chosun Cup gets underway. Feel So Good will attempt to get his first Stakes win as he takes on 12 others in the 9 furlong Stakes event. 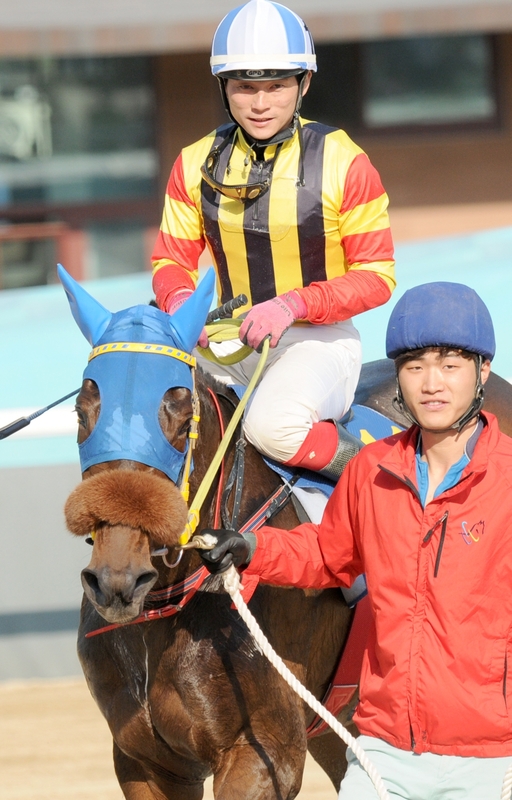 At Busan, the pick of the action sees Cheonji Bulpae takes on Magic Dancer in Sunday’s feature. Jo Sung Gon takes over on Cheonji Bulpae in place of the suspended Darryll Holland. 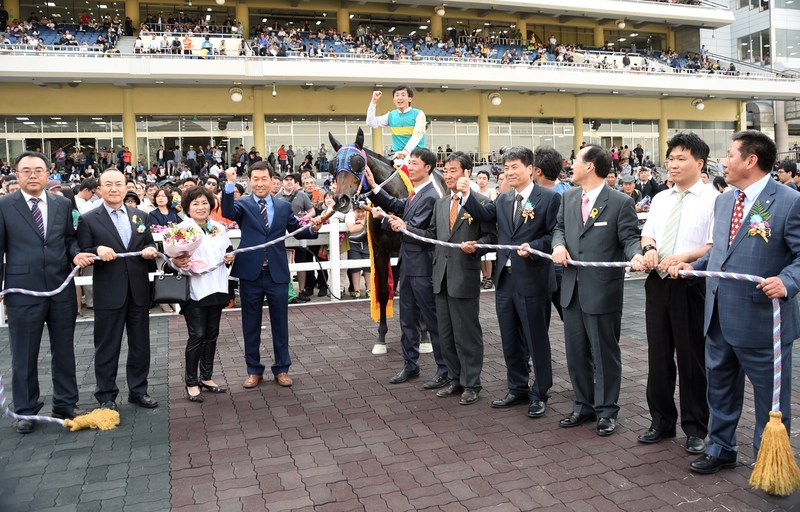 Bichui Jeongsang swept to a comprehensive win in the JRA Trophy at Seoul Racecourse today, giving Ikuyasu Kurakane a victory in the race sponsored by his home nation’s racing authority. 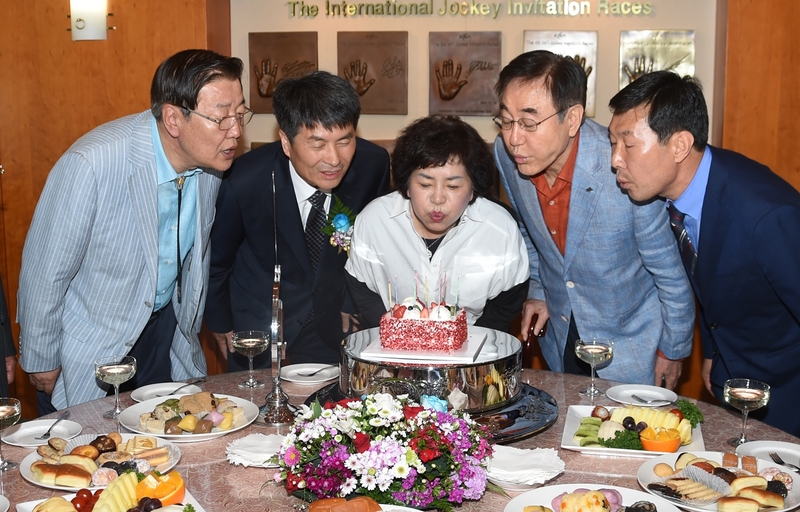 With the well-fancied Yeondu having been scratched, punter made Bichui Jeongsang the slight favourite in the race which, with its 23rd edition, is the longest running exchange race in Korea. 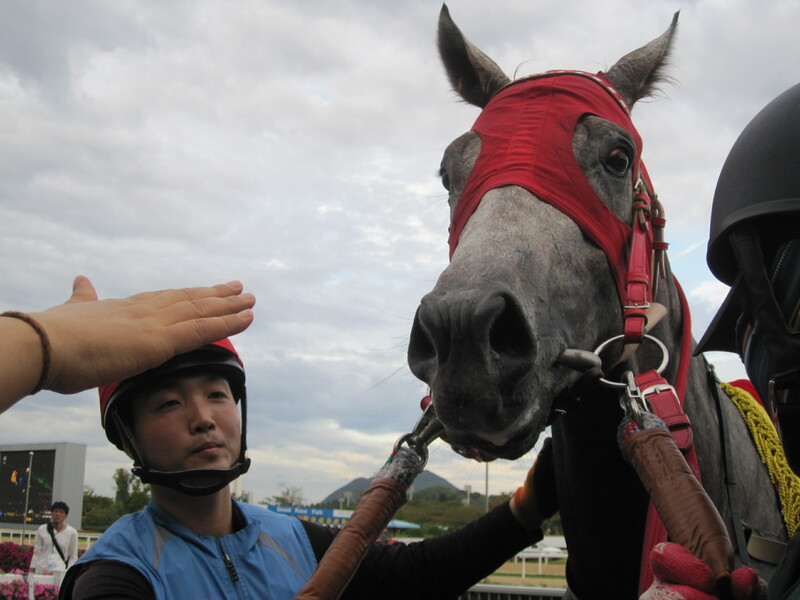 13/1 chance Ssangdu Bima set the pace for much of the 7-furlong race but Kurakane always had Bichui Jeongsang handy and once he hit the front with a furlong remaining, he was the only likely winner. 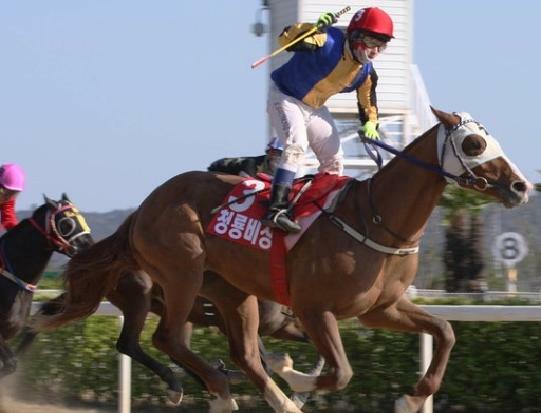 Seo Seung Un, who rides the favourite in the Korean Derby tomorrow, closed very quickly on Clean Up Speed, passing 5 horses in the final furlong to grab 2nd place, while Aussie-bred filly Marica stayed on for 3rd. A three-year-old filly, Bichui Jeongsang was a $30,000 purchase at Fasig Tipton’s Mid-Atlantic Two-Year-Olds in Training sale last May. This was her fifth start and her sixth win. Although as an import, she is ineligible for the Oaks, if she can go on to stay around two turns, she could have a big part to play later on in the season. 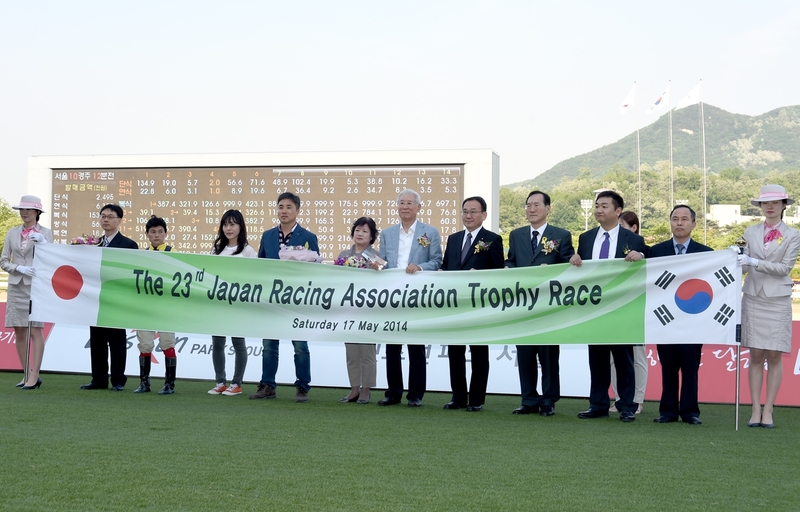 For jockey Kurakane, it was not only a big race win, it was also his third triumph of the day. 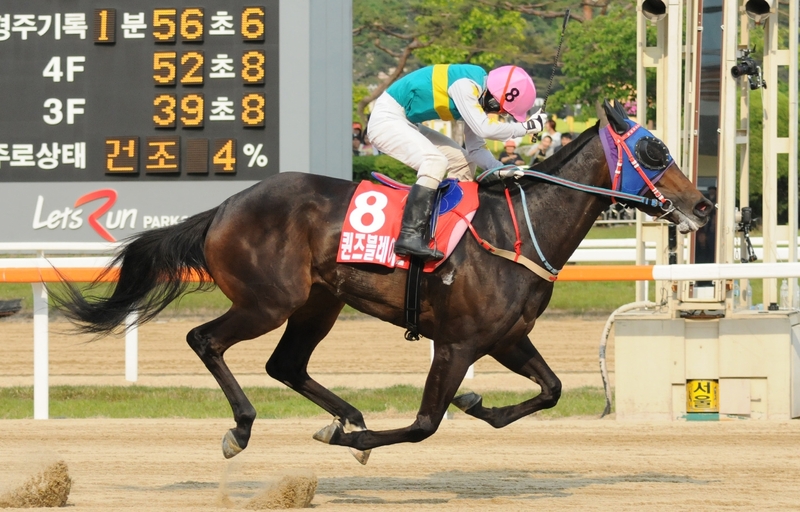 Ikuyasu is renowned for grinding out a big volume of winners but chances in feature races are less common – his last Stakes win came in his first spell at Seoul in 2007. He is 2nd only to Moon Se Young in the 2014 Jockey Premiership. Racing returns to Seoul on Sunday with the Korean Derby. Ikuyasu Kurakane rides Clean Up Speed, who is not without a chance. War Admiral, Seabiscuit, Tom Fool, Real Quiet, Cigar, Skip Away. That’s the kind of company that Major King will make a rather unlikely attempt to join when he lines up for the Pimlico Special this coming Friday. 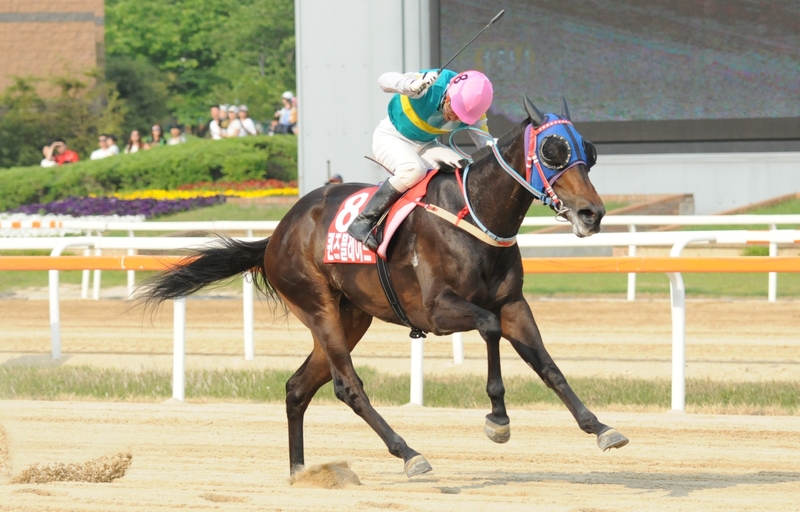 The 4-year-old Korean classic winner has been in the United States since January and although his only start to date ended in a dismal defeat at Pimlico last month, he has somewhat bizarrely been entered for the Group 3 race which will be run over 1900 metres. He’ll be among a field of nine which contains five graded Stakes winners including Revolutionary, who was narrowly beaten by Will Take Charge in April’s Oaklawn Handicap and was 3rd in last year’s Kentucky Derby. Major King [Pico Central – Still Golden (Gold Fever)] does not. 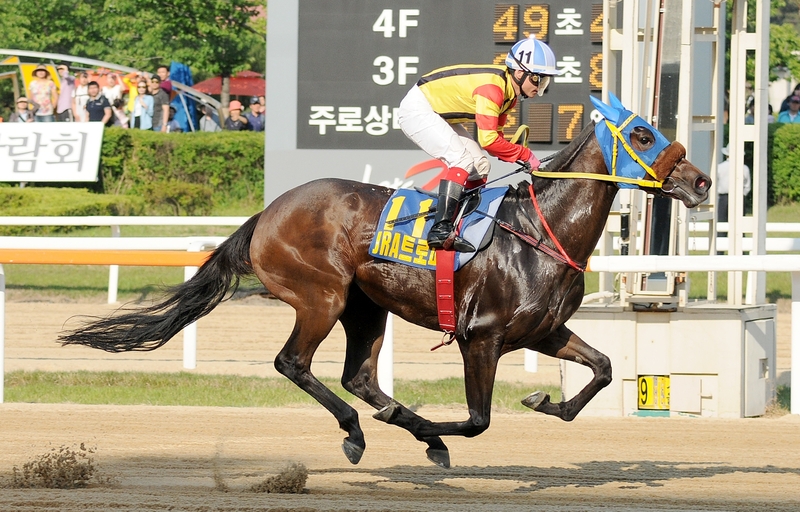 The winner of 6 of his 12 starts in Korea, including the Minister’s Cup, the final leg of the Korean Triple Crown. 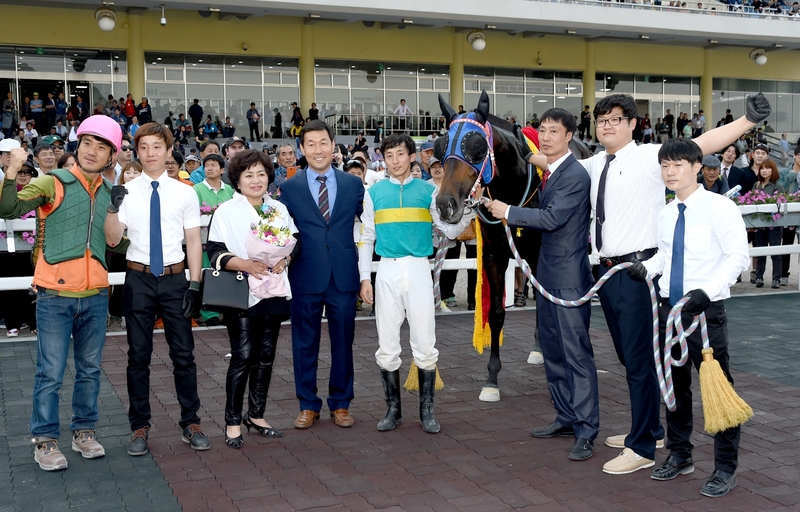 He finished the season indifferently, well beaten in the President’s Cup and then 3rd in a Busan handicap. At that point, he needed a lay-off and despite being shipped half-way around the world, he got a rest from racing and he can be forgiven his one poor start Stateside so far. His wins have come from the front and he likes to set the pace. However, even an at peak-form Major King would be overmatched here and the 50/1 morning line odds – naturally the outsider of the nine – look rather miserly. The best we can hope for is that he isn’t embarrassed. 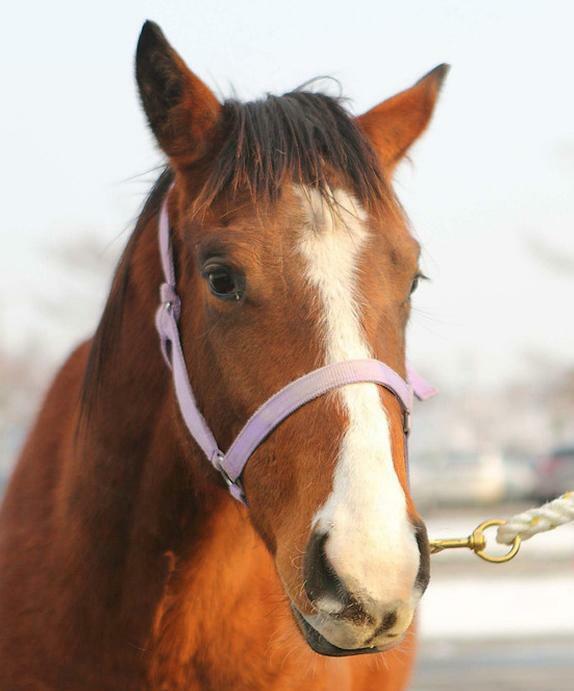 Either way, he will become the first Korean bred horse to run in an American Graded Stakes race.